Manila. The Philippines held its spot as one of the fastest-expanding economies in Asia, posting 6.7 percent growth in 2017 and sustaining expectations the central bank could tighten monetary policy this year. Strong domestic demand and higher government spending have propelled the economy to 76 quarters of uninterrupted growth, making it one of the region's outperformers. Data out on Tuesday (23/01) showed the Southeast Asian economy grew 6.6 percent in the fourth quarter from a year earlier, slightly weaker than the 6.7 percent markets had expected, although this followed an upward revision of annual growth in the third quarter to 7 percent from 6.9 percent. On a seasonally adjusted basis, the economy grew 1.5 percent in the October-December period from the previous quarter, also below forecast and slower than the downwardly revised 1.7 percent in the September quarter. "Certainly, the Philippine economy remains strong and there is still more room to grow. The government remains committed to making this growth inclusive," Economic Planning Secretary Ernesto Pernia told a media briefing. The full-year growth of 6.7 percent in 2017 was slower than the 6.9 percent expansion in 2016, which was an election year. Following the release of the data, central bank governor Nestor Espenilla said robust economic growth in the fourth quarter gave it "ample policy space" to meet its inflation target of 2-4 percent. Inflation averaged 3.2 percent in 2017. The Philippines' growth momentum is expected to persist well into 2018, as the government pushes ahead with its six-year $180 billion infrastructure program. Government consumption was a key driver of growth in the last quarter of the year, posting a hefty climb of 14.3 percent from a year ago, compared with 4.5 percent growth in 2016. Policy Tightening in the Offing? The government's infrastructure push led to a surge in imports of capital goods last year, widening the trade deficit to a record in November. While the deficit pointed to strong economic activity, the widening trade gap has added to worries a current account deficit could persist in 2018 and continue to pressure the peso, Asia's worst-performing currency so far this year. That led Capital Economics to strike a more cautious tone. "Import growth is set to remain well within the double figures, fueled by demand for capital goods to supply the boom in infrastructure spending. As a result, net trade is likely to act as a bigger drag on growth," it said in a research note. 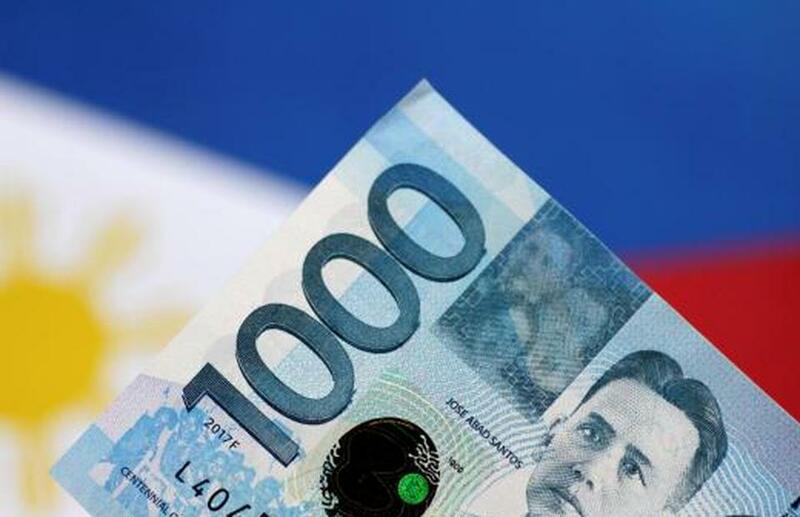 The peso fell back into 51 to the dollar territory to its weakest in more than two months after the data. The prospect of a weaker peso and higher inflation, due to higher taxes plus rising oil and food prices, could persuade the central bank to hike rates in 2018 for the first time in more than three years, economists said. "The central bank is focused more on inflation rather than the GDP numbers, so that means the pressure is still there for the central bank to raise interest rates especially if inflation stays close to or hits the upper end of the target range," said Angelo Taningco, economist at Security Bank in Manila. The central bank last hiked rates in September 2014. It set the overnight borrowing rate at 3 percent when it moved to an interest rate corridor system in June 2016.